Michael Parkinson's castaway is writer Maya Angelou. Maya Angelou inherited her love of music from her grandmother, who used to sing to her as a child at the family home in the southern United States. The first volume of her autobiography, I Know Why the Caged Bird Sings, was a bestseller, describing her life as singer, actress, stripper, dancer and writer. In conversation with Michael Parkinson, she looks back on a remarkable career and chooses eight records she would take to the mythical island. 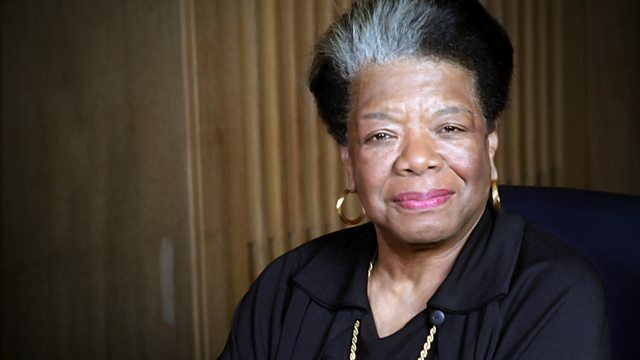 Maya Angelou talks about volume one of her autobiography I Know Why the Caged Bird Sings. Inspiring castaways with astonishing life stories and achievements.